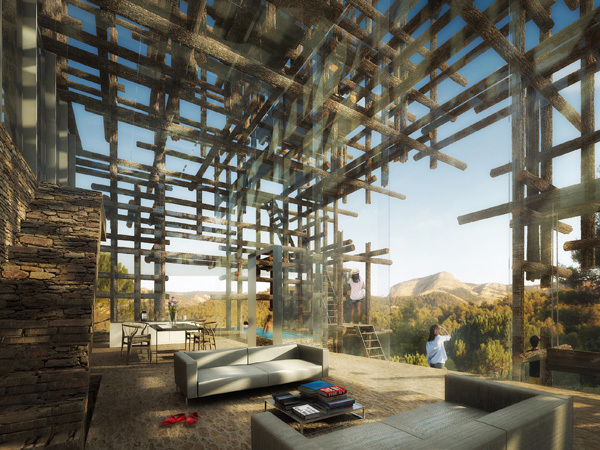 Japanese architect Sou Fujimoto has designed his first residential project in Europe, as part of the Solo Houses programme. At the head of his own agency since 2000, the architect's work has always explored the origins of architecture, such as caves and nests, and this new villa is no exception. 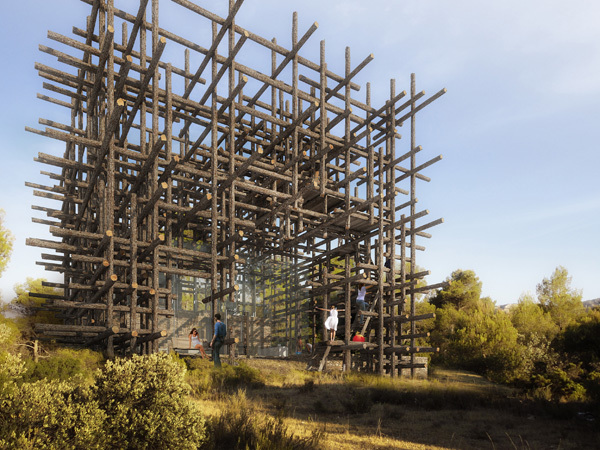 The heart of the structure, made out of stone and glass, is enveloped in a cubic lattice of interconnecting wooden logs, thus combining basic constructed forms with highly elaborate execution. The result is "a closed and protected place, which is also totally open". 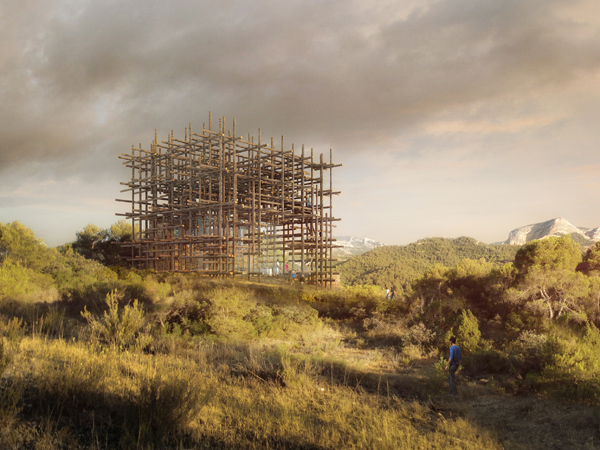 Sou Fujimoto is also the author of the manifest Primitive Future and will design this year's now famous Serpentine Pavillion in London. 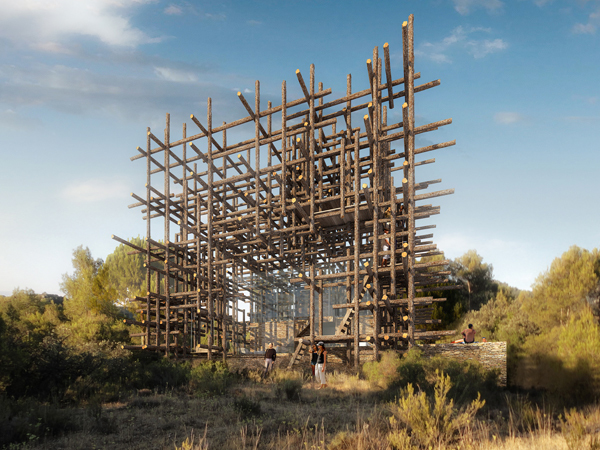 Solo Houses is a residential programme, in the Matarranya region in Spain. It is a collection of a dozen houses, built by some of the world's most talented architects and offered for sale in order to challenge the world of second homes.